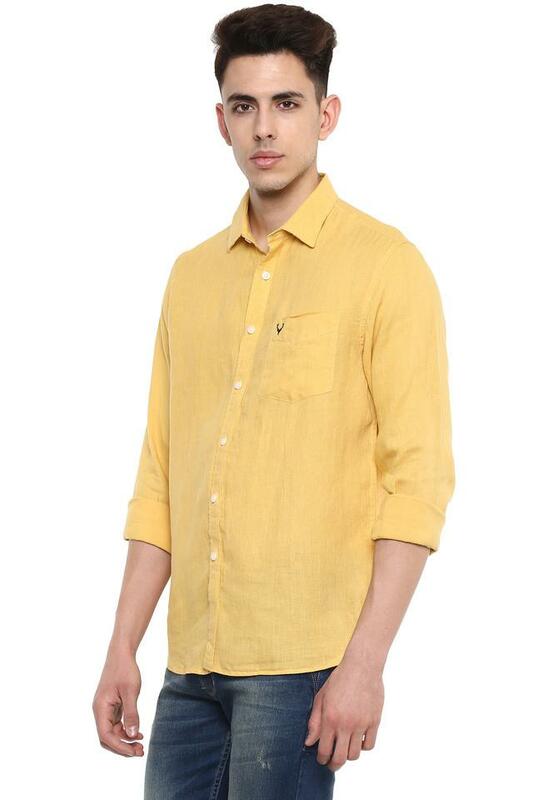 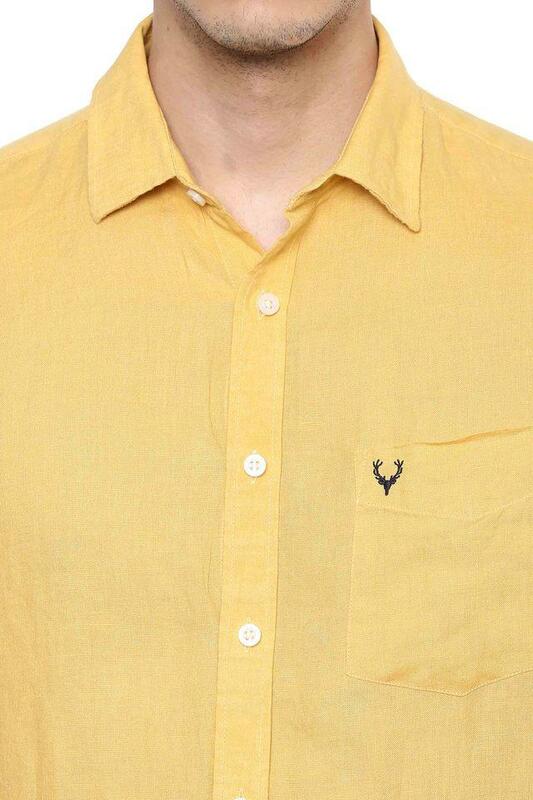 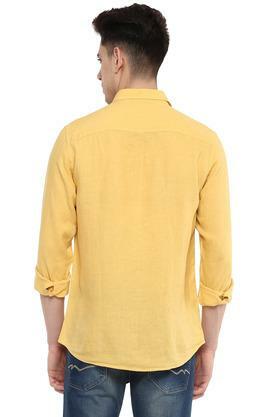 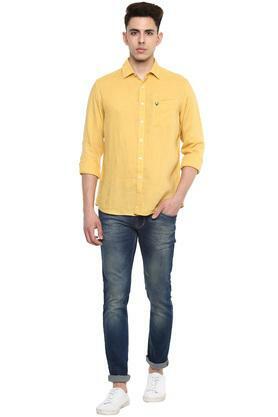 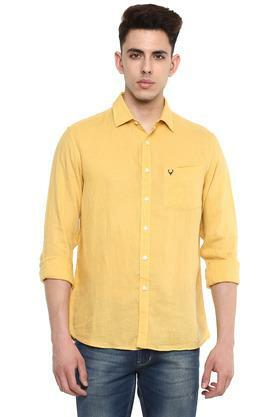 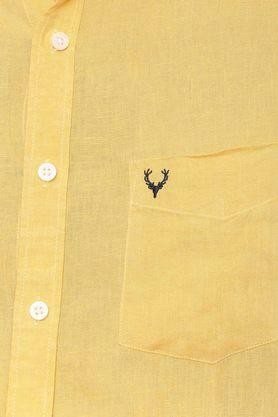 Add versatility to your collection with this shirt from Allen Solly. Made from good quality fabric, this solid shirt fits your figure so perfectly that you will love it instantly. It has a classic collar and a hard-to-miss solid pattern on it.